Hi guys! 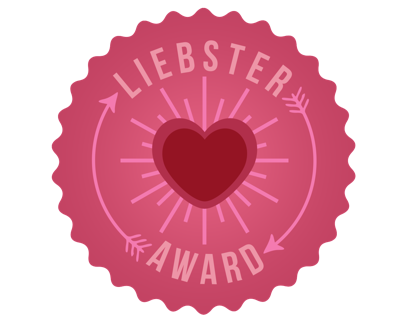 Popping in tonight because I was nominated for the Liebster Award by the lovely Erin over at The Elementary Darling! Thanks girl, I loved reading your answers and random facts!! 1. What is your favorite thing about your job? I think my #1 favorite thing from my job is seeing that lightbulb go off in my kiddos heads when they finally grasp a new concept! Teaching students with moderate to intensive needs, these new skills can sometimes take months to master, so that day is a very exciting one!! 2. Which do you like better, instagram or facebook? Hands down, Instagram! It's quick, I can post/check it easily, and if I go on Facebook it's for pictures anyways! Love LOVE IG! (come find me @myspeciallearners)! 3. 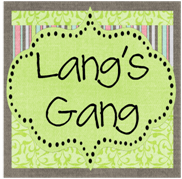 Do you have a theme for your classroom decor? If so, what is it? Sadly, I don't. :( My current classroom is set up with each of my 6 students having their own "office" with walls that are sadly yellow, red, green, and blue colors. It's very primary and basic, especially because I don't want to overwhelm my students with sensory issues! I love looking at pictures of pretty, decked out classrooms! 4. How many siblings do you have? 5. Who is your favorite clip art designer? Krista Wallden on TPT! She has the cutest stuff! 6. What is your favorite topic or subject to teach? Math!!! Math was always my favorite subject when I was younger because of how concrete and cut & dry it was. I always hated how many rules and exceptions there were in Language Arts. I find myself always starting with Math IEP goals before hitting the Language Arts ones! 7. What is your favorite store to shop in? Ooooh, tough choice between Target and Marshalls! Target is obviously a girl's paradise (especially for teachers! ), but I do LOVE Marshalls as well! I'll call it a tie! 8. Do you have a favorite sports team? Cleveland girl all the way! More into basketball and baseball than football. Go Tribe! Go Cavs! 9. What is your favorite children's author? All of the Skippyjon Jones books by Judith Byron Schachner! 10. What is your favorite T.V. show? Oh boy, another tough one! There's quite a few "favorites" on my list. If I had to choose ONE right now, I guess I'd say New Girl! I love Zooey and it's always lighthearted and funny after a long day at work. Not right now. :( My parents still have a dog Sophie that I visit every so often! Single apartment living isn't the best time to have a pet. Someday! 1. My birthday is on 9/11. I can never tell someone my birthday without them making some sort of comment! 2. I originally wanted to be a Middle School Math/Science teacher. Senior year of HS I observed Middle School and HATED it, then ended up falling in love with Special Education! 3. I've never had the chicken pox. 6. I ran my first (and God help me it BETTER be) my last marathon in October of 2013! I had bronchitis most of my training and never ran more than 14 miles before the full 26.2, but I was bound and determined to check it off my bucket list! 7. Next thing I want to check off my list: skydiving! 8. I was diagnosed with Crohn's disease on my 12th birthday, which inevitably got me into running half marathons through fundraising! 9. I took horseback riding in college for a quarter...it was the coolest class ever! 10. I could quote almost the entire movie "A Cinderella Story" with Hilary Duff. Embarrassing. 11. I can play piano, saxophone, clarinet, & bass clarinet. I was in Marching Band and Wind Ensemble in HS...love music! Miss it every day! Here are the questions for my nominees! 1. What grade(s) do you teach and how long have you been teaching? 2. When did you know you wanted to be a teacher? 3. If you weren't a teacher, what other career would you choose? 4. What do you like to do on breaks/summer vacation? 5. What is your favorite travel spot? 6. If you had to choose your last meal, what would it be? 7. What is your greatest vice? 8. Favorite children's book and adult book? 10. What is your favorite store to shop in? 11. Dunkin Donuts or Starbucks? Or something totally different? I loved reading your post! I was in the band too, and I can play the clarinet :) I also love the same stores as you, and I am the oldest child too! I love learning all these new things and I can't wait to see all of your new posts!